Media: Pencil on a white sketch notebook page, reworked in GIMP and color inverted. 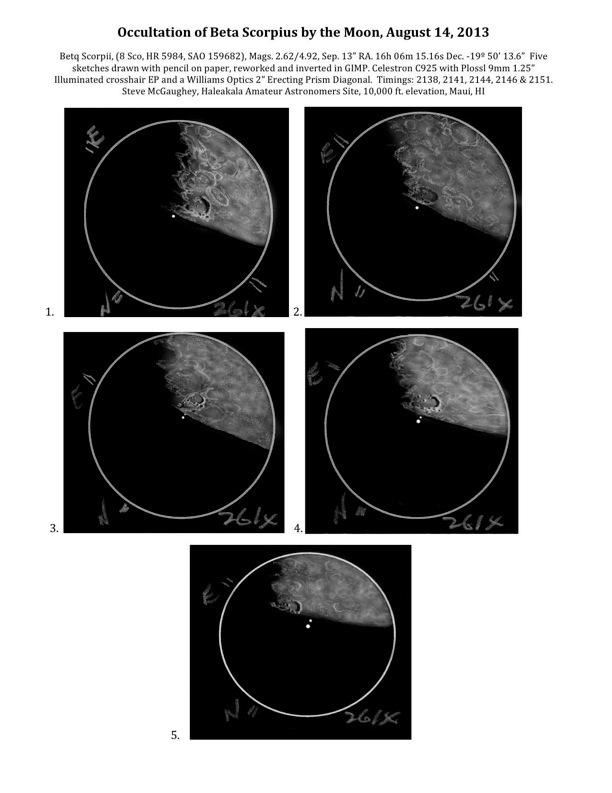 Because this event occurred over a short period of time, I was not able to make a detailed sketch of the moon. I’ve added details to one crater that lies near the double star which I’m guessing is Moretus. If anyone knows differently, please make a note of it in the comments. The information about the equipment and the objects are included in the sketch submitted. I give permission to display this sketch anywhere as long as I’m credited. Very well done Steve! Nice views of a very rapid event. I like this kind of conjonction. Beautiful details and progression. I feel I am at the eyepiece looking through with you.